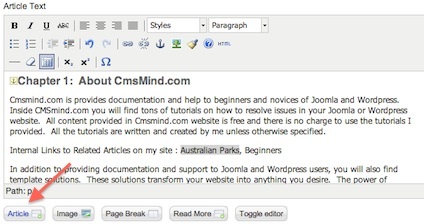 Joomla 1.7 Tutorial – In your Joomla Articles, you can also link to other articles in your Joomla website. You can use the previous method of using the “Insert/Edit Links” icon but there is an easier way to create internal links to articles on your website. The insert link to ‘Article’ icon is available below your Edit article text box. Refresh your Joomla 1.7 website and view your article. 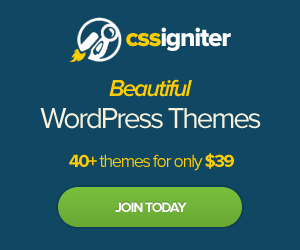 The link “Australian Parks” will link to that article you saved on your website. In Joomla 1.7, when linking to another article in website, is it possible to use a jpg or png image rather than highlighted text as the link trigger?